By Mario Alexander on January 1, 2019. Anyone living with an older cat knows that, like people, they develop age-related ailments just as we do as humans. Sometimes, those changes wrought about by age sneak up on us until one day we notice that our feline family member is no longer trying to jump up on the countertop to see what mom is doing in the kitchen or suddenly jerks off our laps when we inadvertently hit a painful spot on their back, neck or hips. 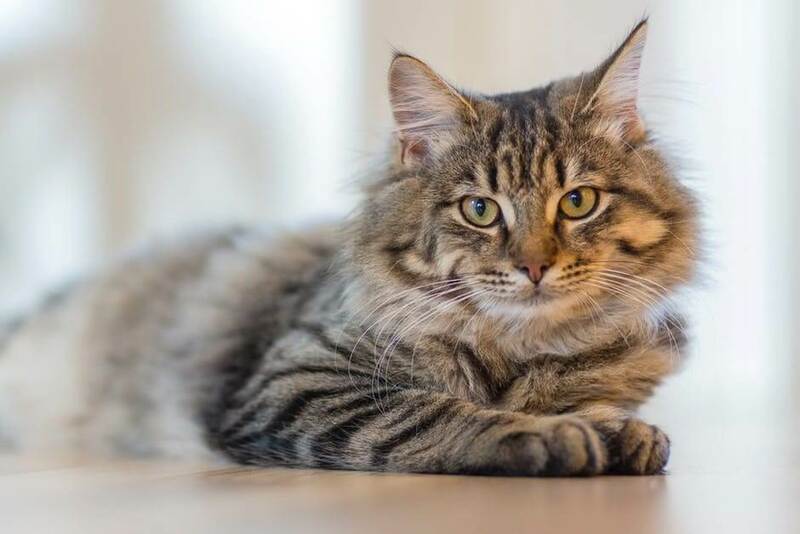 If you have been noticing these kinds of changes in your cat, there are things you can do to ease their suffering, but it all starts with an accurate diagnosis. What Age Is Considered ‘Senior' in Cats? The first two years of a cat's life equals 24 years in humans. After that, add 4 years for every calendar year. At 11 years they are classified as elderly. Between 11 and 14 years they are senior. At 15 (human years that is) cats are geriatric. Therefore, a senior cat has been with your family for at least 11 years which means that by this point, you know the norms of your cat's behavior. Once you understand what signs to look for, you can begin helping your cat deal with aging. Quite often it is pain, which they obviously can't tell you about, but senior cats also become finicky eaters and much more dependent on you for the littlest of things. In recent years, many cat owners have been turning to alternative treatments such as CBD oil for cats for two very important reasons. Yes, you can take your cat to the vet, and you should, but cannabidiol (CBD) also is known to increase appetite and safely help manage pain in humans, dogs and cats alike. Do you suffer from age-related ailments like arthritis and muscular aches and pains? Well, your cat may be experiencing the same kind of suffering! Many vets around the country are advocating the use of CBDs because they are not psychotropic and the only benefits are health related. In other words, catnip will wreak more psychological havoc with your feline friend than CBD oil will! In the end, dealing with common ailments in senior cats is up to you. A cat can't make an appointment at the vet and doesn't do its own shopping for foods it can tolerate well. As a loving cat owner, it's up to you to read up on the subject so that you can give your cat the care it deserves. There is a huge amount of literature available, thanks to the Internet, so if you've noticed even minor changes in your cat's behavior, talk to your vet and learn all that you can about what your feline family member is experiencing in its senior years. You owe your cat that much!